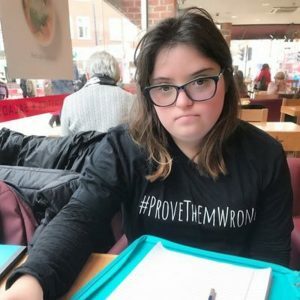 Down’s Syndrome advocate to address Saturday’s march. This year’s ‘Save the 8th Rally for Life’, which takes place, tomorrow, Saturday 10 March at 2 pm in Dublin city centre, is on track to be the “most important pro life rally ever”, according to organisers. “Right now, the lives of pre-born children hang in the balance, but together we can offer mothers a better answer than abortion – and save lives by saving the Eighth,” they say. The rally begins at 2 pm at Parnell Square in Dublin. From there, members of the public will walk to Merrion Square, through Dublin’s city centre. Last year, organisers estimated that 60,000 people took part. They hope this year’s event will be even bigger. 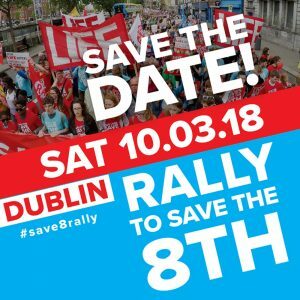 Members of Save the 8th have been handing out leaflets the length and breadth of Ireland, inviting people to come, and private buses have been organised from the main towns and cities in Ireland. Speakers at the rally include Charlie Fien, a Down’s Syndrome advocate who gave an impassioned plea to the United Nations in March 2017, where she spoke out against the targeted killing of children diagnosed with Down’s Syndrome before birth. Other speakers are Deputy Mattie McGrath, Bernadette Goulding from Women Hurt, Michael O’Dowd from Renua, Dr Judy Ceannt, Tanya Coonan from Every Life Counts and Bernie Smyth from Precious Life. It is becoming clear to the public that a YES vote is a vote for a copy and paste job of the UK abortion regime – right down to the laughable “two doctors” provision, said a spokesman for Save the 8th. In the statement at the conclusion of their spring meeting, the Catholic bishops of Ireland offered their support to the rally.